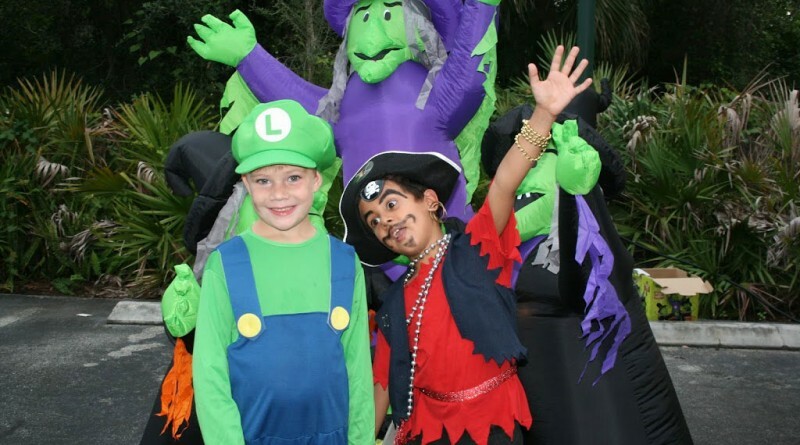 This year marks the Eleventh “Fear” Anniversary for Boca Raton’s biggest Halloween party, Shriek Week. This fun family event in Sugar Sands Park has tons of scary (and not-so-scary) activities geared for kids of all ages. Kids ages 7-12 can venture into the haunted house, “Mischief, Mayhem, and Mania,” a cautionary tale of what happens when a devilishly set of siblings take control of the house when the parents are away. Returning this year for the older kids, the haunted house “Granny Grim: Behind the Locked Door” opens the door for those who dare to explore Grinny Grim’s garage, once under lock-and-key, and to see what she has been keeping all these years…the findings may be frightening. Kids of all ages can play carnival games in the Halloween-style glow-in-the-dark game room, take a ride on the Catabella Express trackless train, take in the intriguing magical feats of the Amazing Mr. A, and trick or treat along the trail for loads of tasty treats. Also featured at Shriek Week is the fourth annual Kids Film Festival. A group of young filmmakers (ages six through 17) have been selected to screen their scary films—ranging from stop-motion animation, film, animation, music videos, and digital comic books. Click here for this year’s scare-tastic cinema and vote for your favorite film. And be sure to see what Boca’s brightest have created on the big screen at the Willow Theatre while waiting to enter the haunted house. Times: Friday and Saturday: 6-11 p.m.; Thursday, October 22 (LITE NITE geared toward younger children): 5-9 p.m.
For more information, see sugarsandpark.org/shriek-week.